The Cheap Glut | I'm no maneater. Just an eater. I’d like to tell you that the reason I haven’t posted in almost two months is because I’ve spent my summer break in Mykonos, lazing about beside the azure waters of the Mediterranean drinking ouzo and developing a steamy romance with a charming, muscular and deeply tanned Greek boy named Kostos. But the sad reality is that I’ve actually been watching re-runs of Project Runway and eating cheese. So really, I’ve got no excuse. Amongst all this laziness, however, my flatmates and I found the time to host an evening soiree (how’s that for tautology?) so we could show our parents our new abode. Now don’t get ahead of yourself here and assume I spent hours in the kitchen preparing. Oh, no. Instead I decided what I was going to make roughly three hours before they were due to arrive. But the beauty of this recipe is that it only really takes half an hour to prepare and most of the ingredients can be found in your cupboard or fridge. It builds on a recipe I devised a few months back, albeit with a little more pompousness thrown in for good measure. Green olive tapenade* spirals are an easy and cheap addition to any soiree, evening or otherwise (which doesn’t really make sense) and are also quite delicious. Plus you might be able to get away with telling people you learned the recipe off a little old Greek woman on your trip abroad. *As a side note, my computer tried to auto correct ‘tapenade’ to ‘tapeworm’. Well, I thought it was funny. But I’ve also spent the last two months in front of my television. 1. Preheat the oven to 200C and grease two baking trays. 2. Cut each sheet of pastry into eight strips. 3. 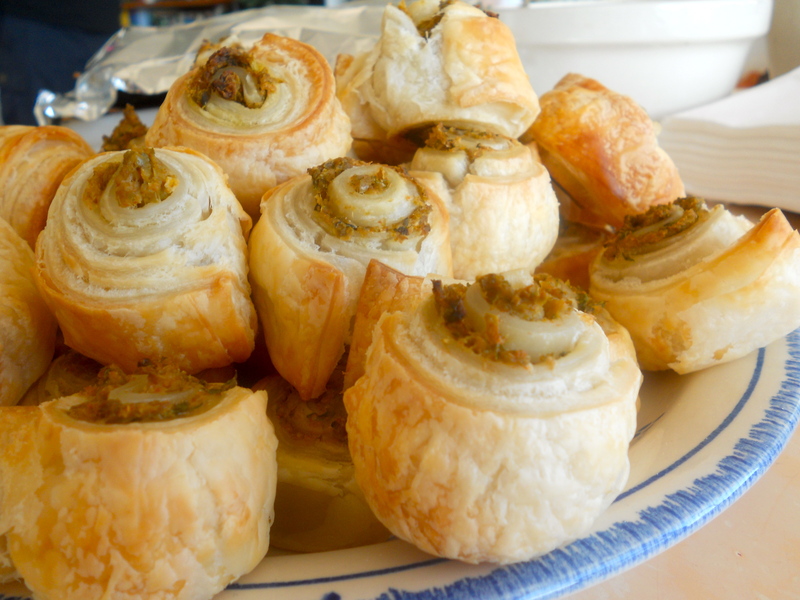 On one end of each strip, place a small dollop of tapenade and roll into a spiral. 4. Repeat with remaining pastry. 5. Place the spirals on baking trays and lightly brush each one with olive oil. 6. Bake in the oven for around 15 minutes or until golden brown. For regular readers, the title of this post will make perfect sense – after having outdone myself in the laziness stakes and avoiding posting in over two weeks, I’ve finally found the inspiration needed to break free of the barbarically restrictive shackles of pure and unadulterated sloth. Or more, I’ve noticed my daily average page views have dipped to the wrong side of five. Now for those that know me personally, you’ll know I’ve got a new flatmate. And for those that know her personally, you’ll know she loves to eat. So in an effort to both impress her and quell her relentless cries for food, I decided to whip up a deliciously moist (I hate the word but here it seems apt) banana, passionfruit and ginger cake, inspired by a recipe from The Australian Women’s Weekly’s bible, Bake. The best part about this cake is that almost all the ingredients can be found in the fridge or pantry, or the slowly becoming moldy fruit bowl. I was happily able to continue in my constant state of humdrum lethargy and completely steer clear of the supermarket. And the other advantage was that it kept well in the fridge for almost two weeks, meaning constant nourishment for my darling demanding flatmate. * As a side note, I will gladly acknowledge that this is my worst title to date. 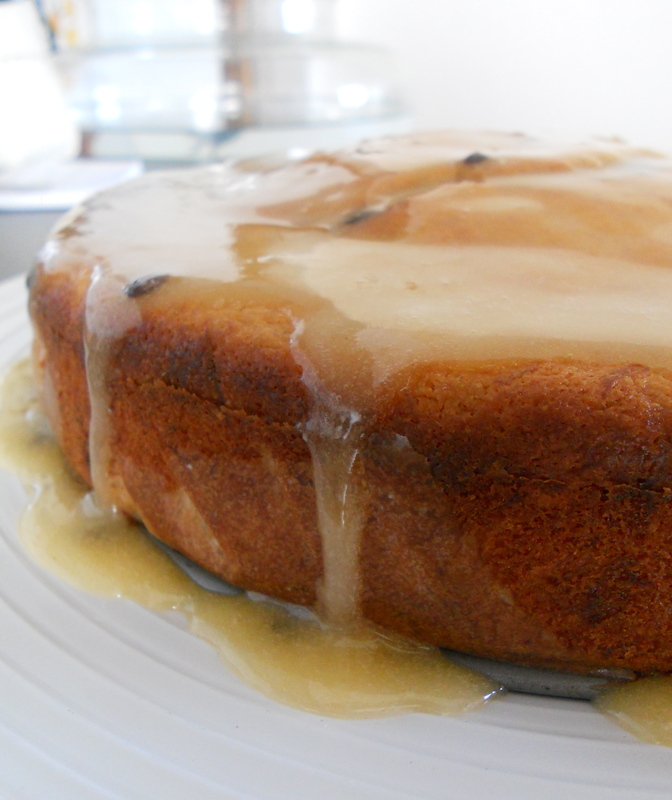 Banana, passionfruit & ginger cake. 1. Preheat oven to 180c/160c fan-forced. 2. Grease 22cm round cake pan and line base with baking paper. 3. Beat butter and sugar in a small bowl with electric mixer until light and fluffy. 5. Transfer mixture to a large bowl; stir in sifted dry ingredients, banana, yoghurt and milk. 6. 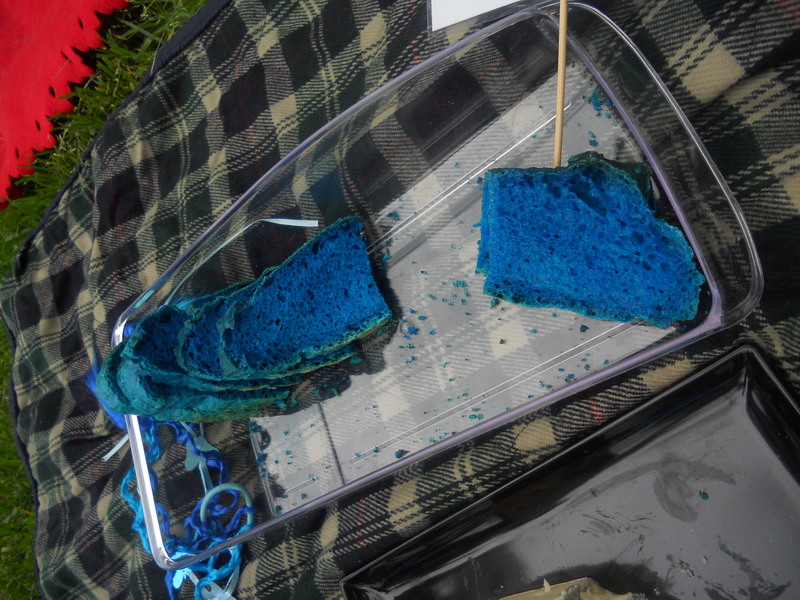 Spread mixture into pan. 7. Bake cake about 50 minutes and then stand in pan for 5 minutes. 8. Turn, topside up, onto a wire rack to cool. 9. Meanwhile, make passionfruit icing: Sift icing sugar into a small bowl and stir in enough of the passionfruit pulp to give a thick pouring consistency. Add powdered ginger to taste. 10. Spread the cake with the icing and serve. When thinking about my blog the other day (as I often do. Too often, perhaps. I need a life. I also need to stop putting the grand majority of what I write in brackets) I realised it had been over two weeks since I last posted. Some of you may welcome this extended break from me spamming your Facebook newsfeeds with self-indulgent blab but I’m sure my one (finally!) subscriber is missing me. C’mon, enlargements4u@mail.de, admit it. I made this recipe almost two months ago when my flatmate and I were feeling particularly angsty about university. We were approaching crunch time (i.e. last-minute essay pumping time) and needed sweet nourishment to last the night*. All we had was a sad green apple, some sugar, vanilla, spices and oats. OK, so that’s a bit of an exaggeration and we clearly survive on a bit more than that, but mouldy pasta does not a fine dessert make. I’d also recently bought some adorable little ramekins and they were still begging to be used. So, if you haven’t already guessed from the puntastic title, apple crumble was the order of the evening. This is probably the easiest dessert ever in the history of mankind ever to make. Seriously. You can use whatever scabby fruit you’ve got lying around and can even mix them all together to create some kind of wonderful concoction. This recipe uses oats but I’ve heard oats aren’t supposed to be used in the topping. Well I say to hell with tradition and here’s to cheap sustanence. *I’m going to be honest here and admit we were actually preparing for a late-night Gossip Girl marathon. 1. Place the apple, sugar, cinnamon and water in a medium saucepan and bring to the boil. 2. Reduce the heat and simmer for 10 minutes or until the apple is cooked through. 5. In a large mixing bowl, rub together the butter and flour until the mixture resembles fine bread crumbs. 6. Rub in the oats, sugar and vanilla and set aside. 7. Grab two ¾ cup capacity ramekins. 8. 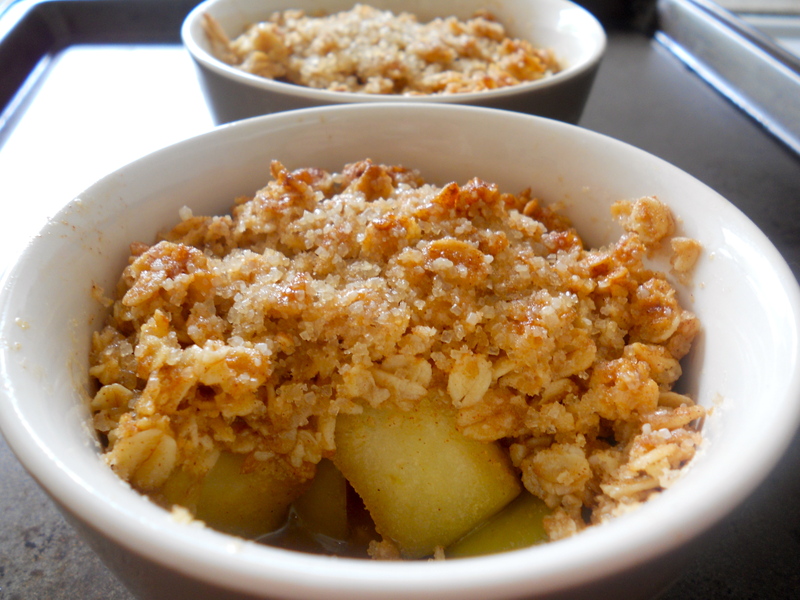 Drain the apples and place half in each ramekin. 9. Top with the crumble mixture. 10. Place the ramekins on a baking tray. 11. Place the tray in the oven for 20 minutes or until the tops of the crumbles are golden. You may need to put the grill on for a few minutes to get a nice topping. 12. Remove from the oven and serve with lashings of cream or ice cream, quantity depending on mood. See what I did there? Aren’t I clever? It took me a good ten minutes to devise a name for this post – ten minutes that otherwise should have been spent writing an essay. But uni, schmuni. My flatmate has been complaining of late that I always seem to insult her in my blog posts. Well, this post is intended to completely make up for that and shine a bright light on her (slowly) improving cooking skills. I will take no credit for this recipe, as the entire thing was her own creation. I will also take no credit for teaching her how to conjure up such a recipe, as my attempts at showing her how to cook always end up with me raising my voice and her evacuating the kitchen and me raising my voice because she left me alone in the kitchen. So the moral of this story is that I have taught her nothing and she consequently invented these corn cakes when I wasn’t at home. But the girl did well. 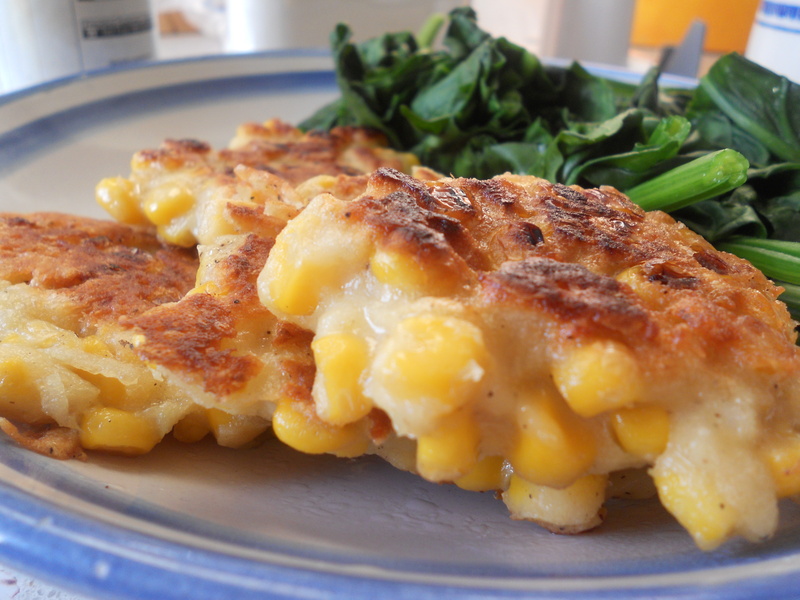 The cakes are deliciously fried yet bursting with enough nuggets of juicy corn to fool you into thinking they’re healthy. They’re good cold, too, as an ideal hangover cure. So congratulations, my dear, not only for creating a fantastic recipe, but for doing it so stealthily that you managed to avoid my cooking wrath. 1. Mix together the corn, potato and egg until the mixture comes together. 2. Stir in the flour until you have a pancake batter consistency. The quantity of flour used is just a rough guide – keep adding flour until you get it right. 4. Heat the oil in a large frying pan until hot. 5. Shape the mixture into tablespoon-sized balls and place in the frying pan, about 5 cm apart. 6. Squash the cakes down until flat and fry on each side for a few minutes, or until golden brown. 7. Remove from the frying pan and drain on paper towels. NB: You can add fresh herbs to these to make them a bit more exciting. Or even cheese. Cheese makes everything better. Many, many, many apologies for the 9-day hiatus. We finally got a new apartment after relentlessly fighting in the vicious and bloody battleground that is the Sydney rental market. Viewing after viewing, application after application, rejection after rejection; it’s a savage bloodbath. To all you students considering moving out of home: don’t. OK, so it’s not that bad. We only really applied for five places and some applications I did slightly intoxicated so my experience probably isn’t much to go by. And living out of home, minus the hours spent cleaning and arguing with your flatmate about cleaning, is pretty sweet. But yep, we got a new apartment. So my time has been spent scouring and scrubbing and sanitising our apartment in time to move out. But we decided to take a quick break from our frenzied clean up to celebrate with a big bottle of champagne (read: $8 sparkling wine) and food. I’ve told you before about my burgeoning love affair with my blender and am about to bore you again with its excellence. Not only does it make fantastic hummus, lo and behold its also a great tool for making olive tapenade. I’ve loved tapenade for as long as I can remember: it’s salty, oily and can be paired with cheese. Perfect in my books. Normally I’d prefer to use kalamata olives for this recipe, but they’re bloody expensive. Stuffed green olives are a good substitute though, and have a slightly more delicate flavour. Fresh herbs really lift the tapenade but if they’re not available or too pricey, I suppose you could do without. Keep the tapenade in the fridge for up to a month and use on toast, sandwiches, pasta or with crackers. Whip it out when entertaining or at the end of your rental crusade. 1. Place the olives, garlic and parsley in a blender and pulse until well combined. 2. With the motor running, add the olive oil and lemon juice. 4. Transfer to a bowl and refrigerate until ready to serve. I know you must be cringing right now – and don’t worry, so am I – at the above reference. It’s not only socially unacceptable to know the name of and possibly like a Spice Girls song (not that I’m admitting anything here) but potentially worse to be seen reading an amateur food blog that alludes to the song in question. But these girls make a good point. An array of spices can make any meal more exciting, whether it be a plain tomato-based sauce transformed into a curry, hamburgers made into kofta or peanut butter on toast revamped to become peanut butter on toast with cinnamon. The other night I was feeling pretty lousy and was in no mood to cook something elaborate. Initially my thoughts were to go with my very delicious – yet admittedly very sad – fallback of tuna, peas and rice (which only involves throwing the latter two in a pot of boiling water before mixing them with a tin of tuna. Mmm.) but inspiration came in the form of a little jar of curry powder sitting at the very back of our pantry. Curry is wonderfully simple, only requiring a few basic ingredients and a few minutes preparation. It’s a great way to use up vegetables that are clearly past it and quickly becoming compost-ripe and can be adapted to suit almost any type of vegetable or meat. You can also change up the spice mix if you so desire. 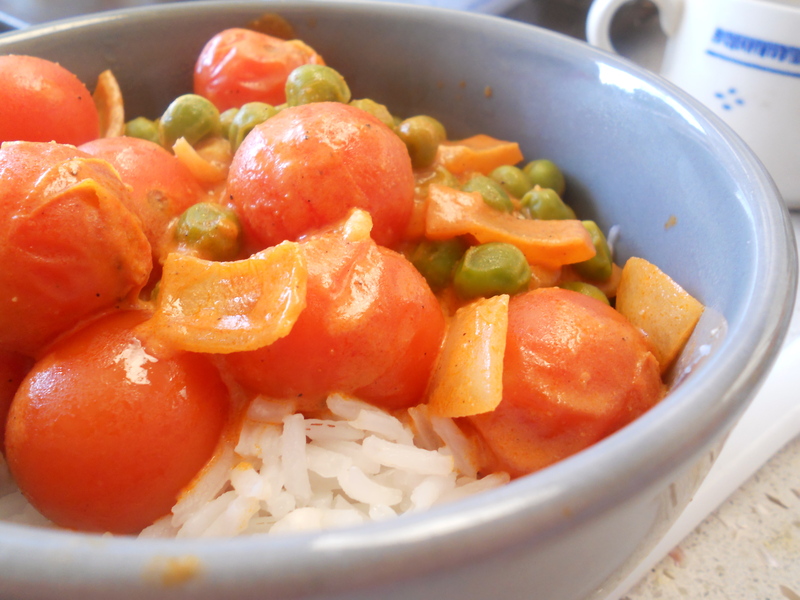 This particular recipe is inspired by Nigella’s latest offering, Kitchen, and uses cherry tomatoes and peas, but by all means use whatever’s available and in season and whatever the bottom of your fridge desperately needs to get rid of. 1. Heat the oil in a medium saucepan that has a lid. 2. When hot, add the onions and fry, stirring occasionally, until fragrant. 3. Add the spices and fry for a further two to three minutes. 4. Add the tomatoes and the peas and cook, with the lid on, for twenty minutes. 5. Add the tomato paste and the milk and cook for a further 10 minutes. I’m sorry, I really couldn’t resist. Following my foray into lyric appropriation a few posts back, I thought I’d repeat myself with an equally as admirable switcharoo. Genius. I apologise for the lack of posts recently. Despite claims from friends who shall remain anonymous (for now) that my blog is pure crap (I choose to think this is sarcastic), I know you’ve all missed me. However my life has become a constant whir of overdue uni work and an endless torrent of rental applications and, admittedly, I’ve barely any time to feed myself, let alone write about it. I’m living off carrots and muesli bars, people. Cue melancholy violins. However all this frenzied mania has been somewhat relieved by a recent addition to my constantly growing collection of (often useless) kitchen appliances. The bread machine, ice cream maker, tofu kit and I have just welcomed a brand-spanking new blender to our brood. And what a change it has made. I’ll be honest and say that I’ve only really made one thing with it so far, due to a new found obsession with chickpeas. I’ve probably had hummus for the past five days straight (with aforementioned carrots) but am in no mindset to stop. It’s just so easy and takes less time than two-minute noodles – which, for me, always take at least ten. 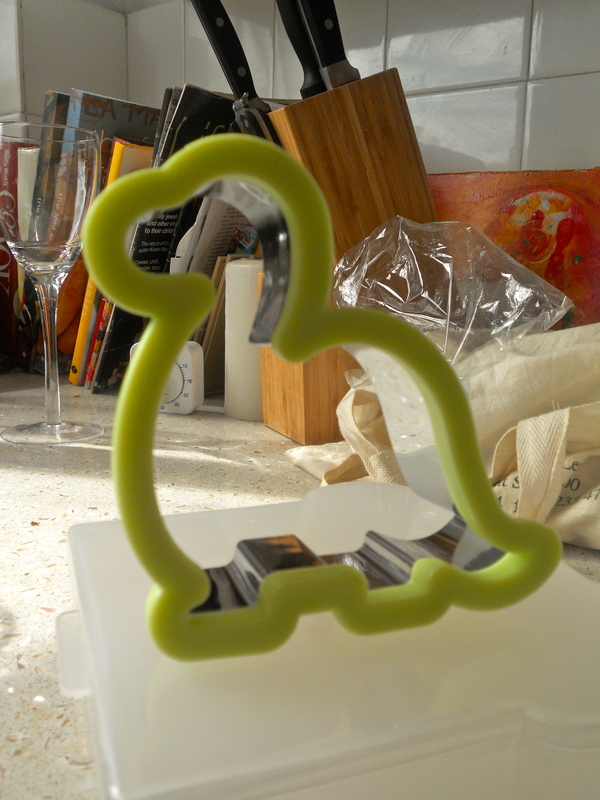 As well as the blender, I’ve also acquired a dinosaur-shaped sandwich cutter, courtesy of my dear flatmate who thought it would be the ultimate birthday gift. Thank you, dear friend. It was. We’ve decided that everything will be dinosaur-shaped – sandwiches, biscuits, fried eggs, dumplings… You name it, we’ll cut it. So dumplings might be a bit difficult, but it does create the ideal accompaniment to hummus – dinosaur-shaped Turkish bread chips. Yeah, you wish you were as cool as us. 1. Fit the blender with the chopping blade. 2. 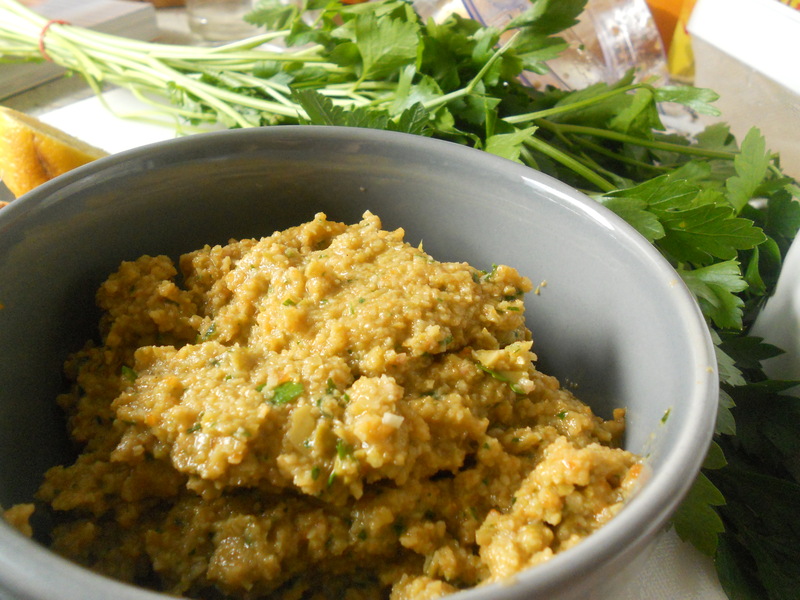 Place the chickpeas, tahini, garlic and lemon juice or vinegar in the bowl of a food processor. 3. Pulse until everything is well combined. 4. With the motor running and everything blending, add the olive oil in a steady stream until the mixture resembles a thickish paste. Season with salt to taste. 5. Remove the bowl from the machine and place the hummus into a serving bowl. 7. Meanwhile, make the (dinosaur-shaped) Turkish chips. 8. Preheat the oven to 200C. 9. Split the Turkish bread in half like you would a bread roll, so there’s a top and bottom. Sorry, this is the best explanation I can muster. 10. Cut each half into smaller triangles (or dinosaurs) and place on a baking tray. You may need to do a few batches. 11. Brush with olive oil and sprinkle with salt. 12. Bake in the oven for around 10-15 minutes or until crisp. 13. Remove from the oven and leave to cool. 14. Serve with the hummus. 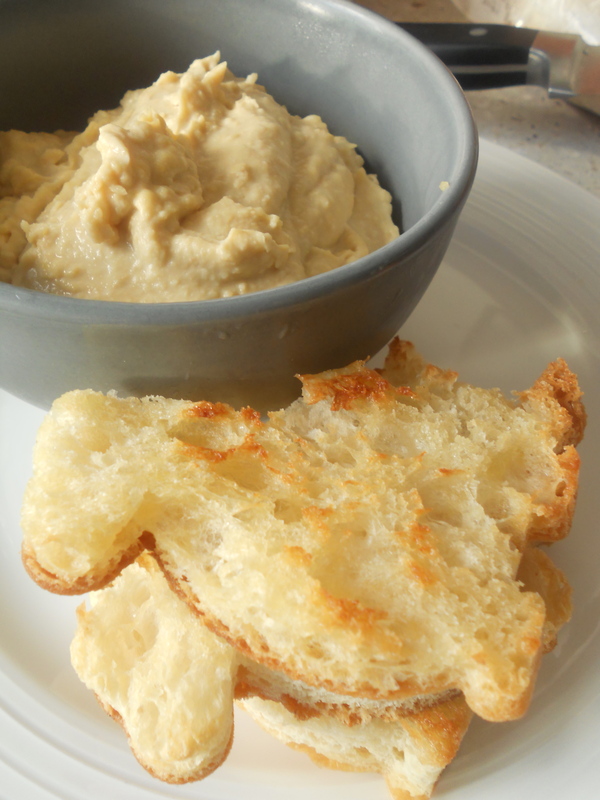 *NOTE: Hummus is one of those things where everyone has a preference: more garlic, less lemon and so on. Feel free to change the recipe to your liking. It was a scene reminiscent of the most glorious dream and the worst possible nightmare: an endless line of mouthwatering food that spelled both delight and dread. The glut (ha!) in me knew the next few hours would be pure bliss but my (self) conscious female side thought otherwise – hello, potbelly. 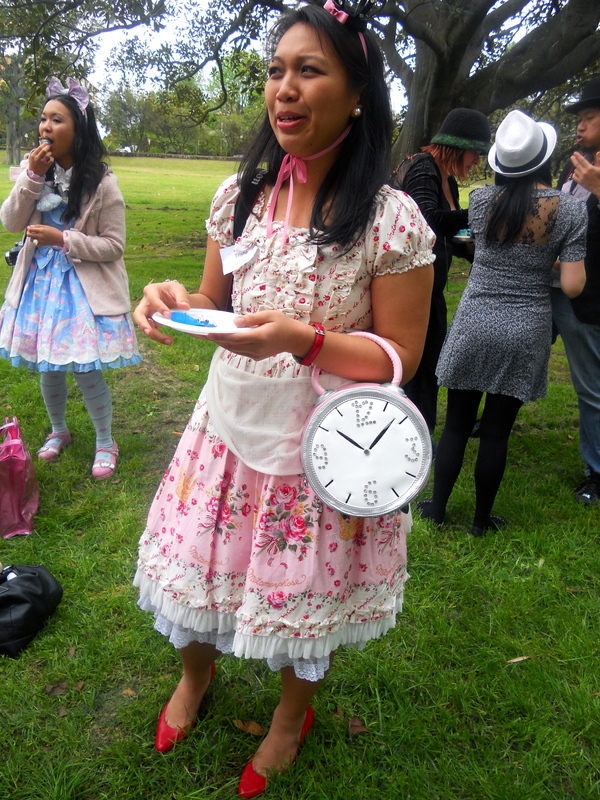 Food bloggers from across Sydney gathered on Saturday (which was, wonderfully coincidentally, my birthday) for the Sydney Food Bloggers Mad Hatters Spring Picnic – organised by Billy from A Table for Two and Karen from Citrus and Candy. 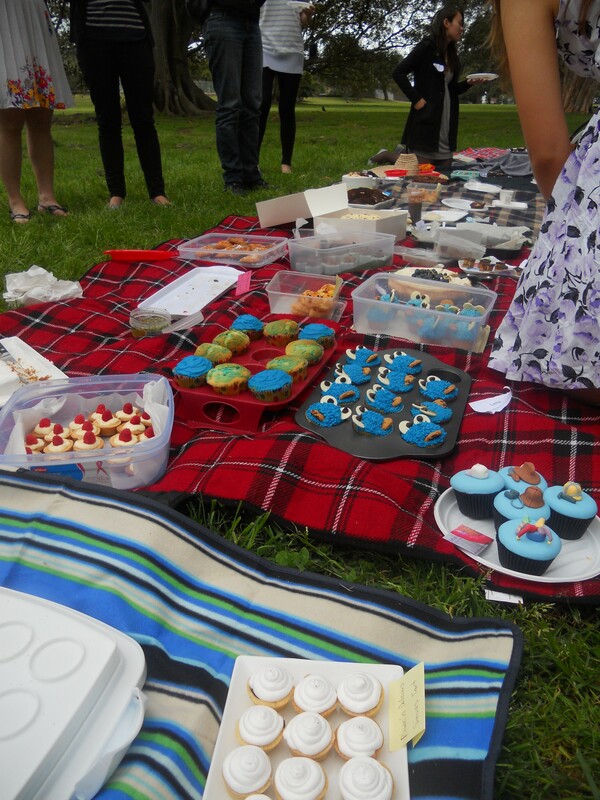 It was essentially just like any other picnic gathering: rugs laid out, groaning with various dishes both sweet and savoury and plenty of people digging in and enjoying. But, true to food blogger-form, the cameras were out at every opportune moment, snapping away at the bevy of exquisite food. 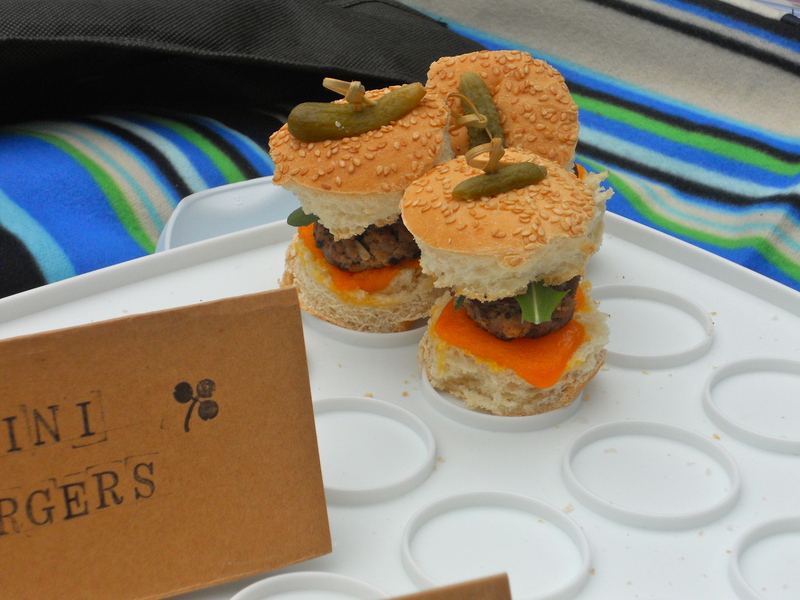 Mini burgers by Fat Belly Club. 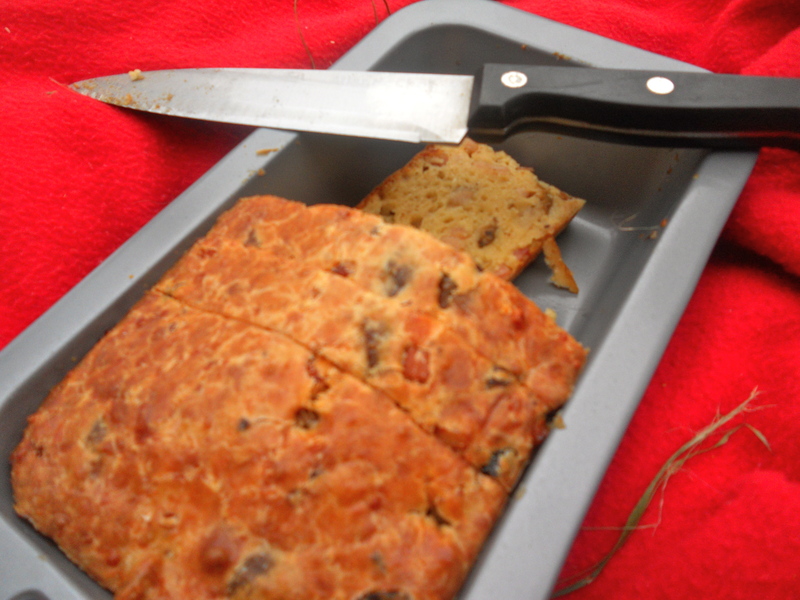 Bacon and olive bread by Sandra. Sadly Eliza from Boomerang Banquet and I were about two hours late to the picnic and consequently didn’t get to try some of the food, but the excess of dishes ensured we didn’t completely miss out. The mini burgers by Paulina and Liam from Fat Belly Club were absolutely adorable and the bacon and olive bread by Sandra from The French Wench was deliciously salty. 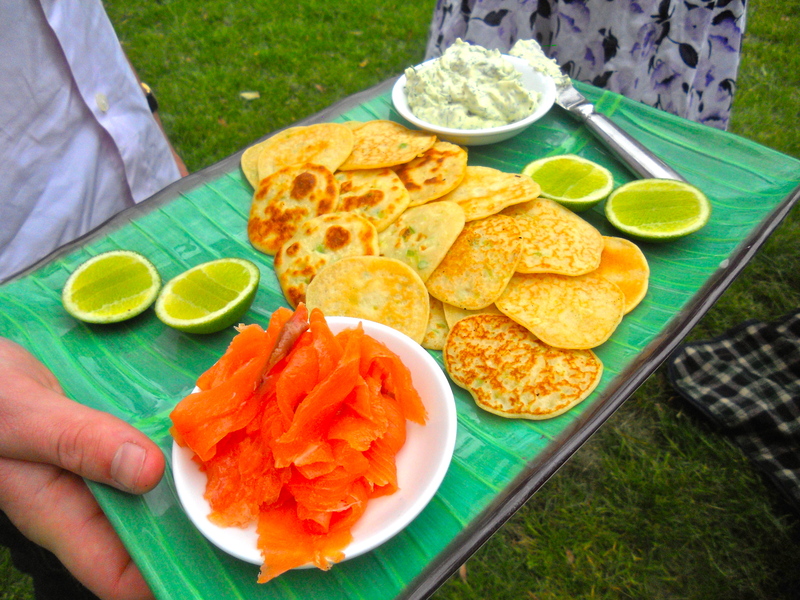 Smoked salmon and blini by Jamie. A friend from uni, Jamie of From the Dinner Table fame, made blini with smoked salmon – a scrumptious luxury that I actually haven’t indulged in since I moved out. To me the blue bruschetta by Moya from YaYa’s Yum Yums was, despite its bizarre appearance, the savoury winner of the day – light, airy and perfect paired with creamy blue cheese. 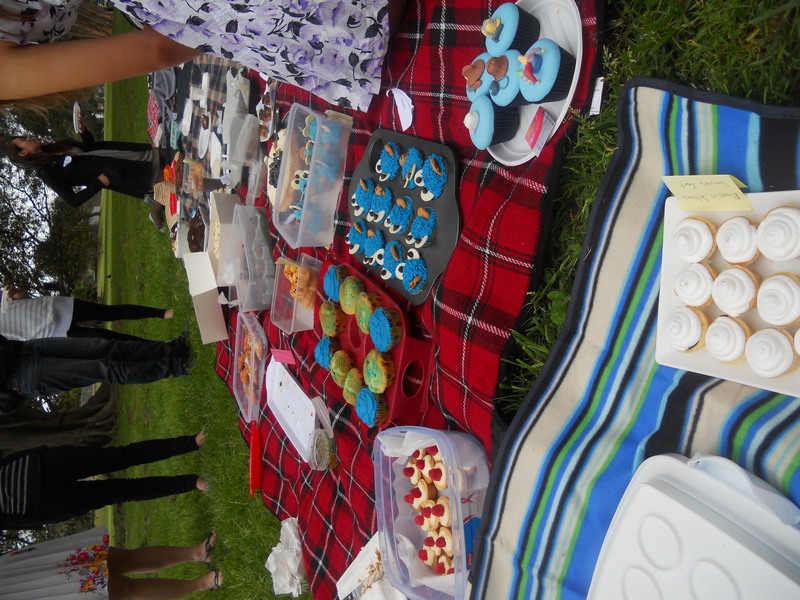 Of course the best part of the two-hour eating fest was the dessert. 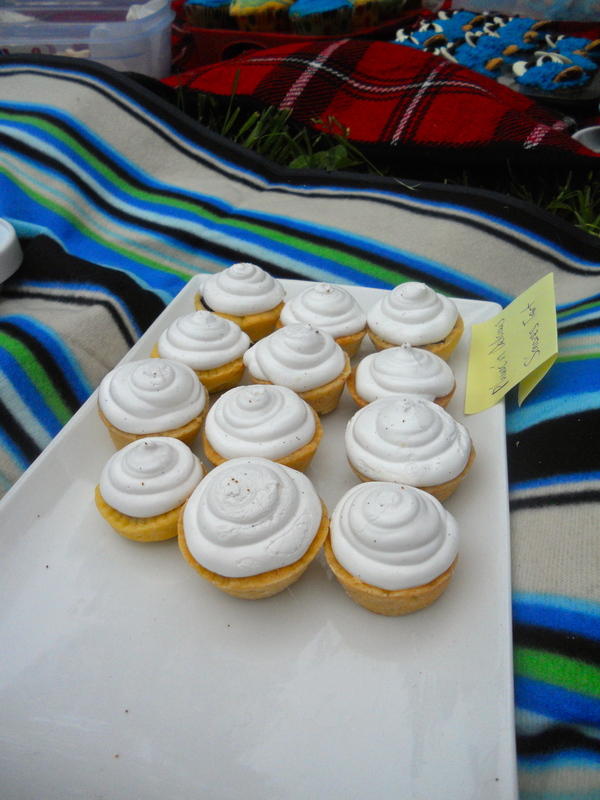 And because, it seems, most bloggers have a serious sweet tooth, the desserts heavily outweighed the savories. But I wasn’t complaining. Raspberry and lemon curd tarts. Phuoc from Phuoc’n Delicious made cute little S’more tarts – a crumbly pastry shell holding a rich chocolate centre and topped with marshmallow. 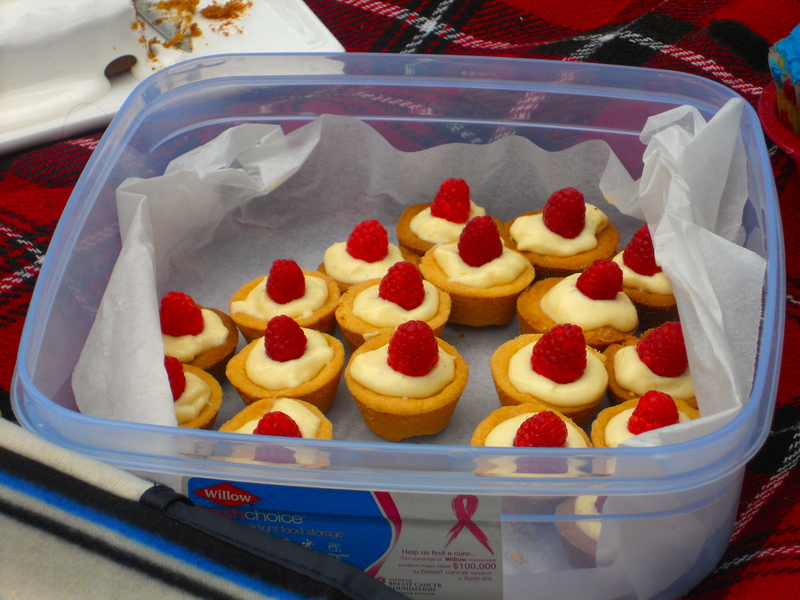 The mini raspberry and lemon curd tarts (also by Fat Belly Club) were equally as sweet. Lemon & blueberry ricotta cheesecake. 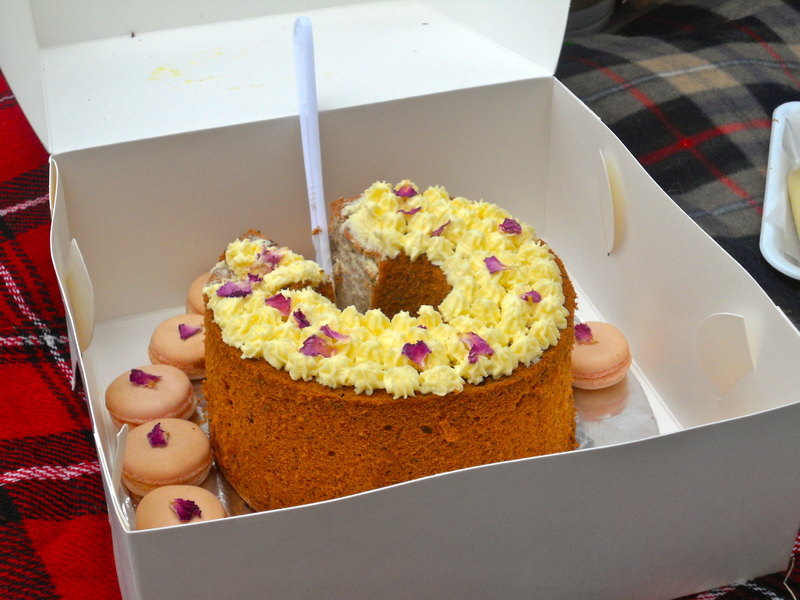 Earl Grey cake and mini macarons. 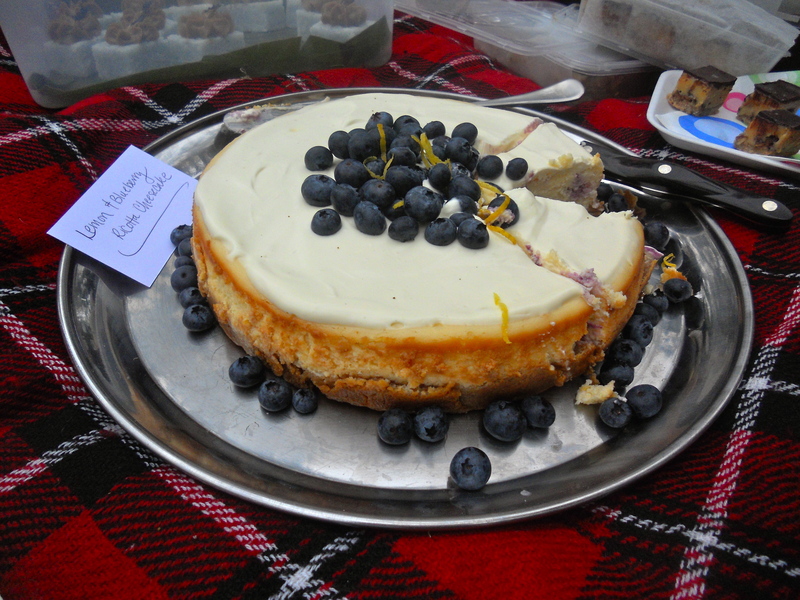 The lemon and blueberry ricotta cheesecake by Leila from Tablenosh had just the right amount of tart and sweet flavours and it was rich and creamy like a good cheesecake should be. I didn’t get to try the actual chiffon cake by Ayana but the macarons were superb – a crunchy outer shell yielding a chewy and soft centre. Cookie monster cupcakes by Sook. The mini tea-ramisu cups by Tammi from Insatiable Munchies – chocolate teacups filled with sweet custard cream and soaked sponge cake – were an ingenious take on the traditional tiramisu. 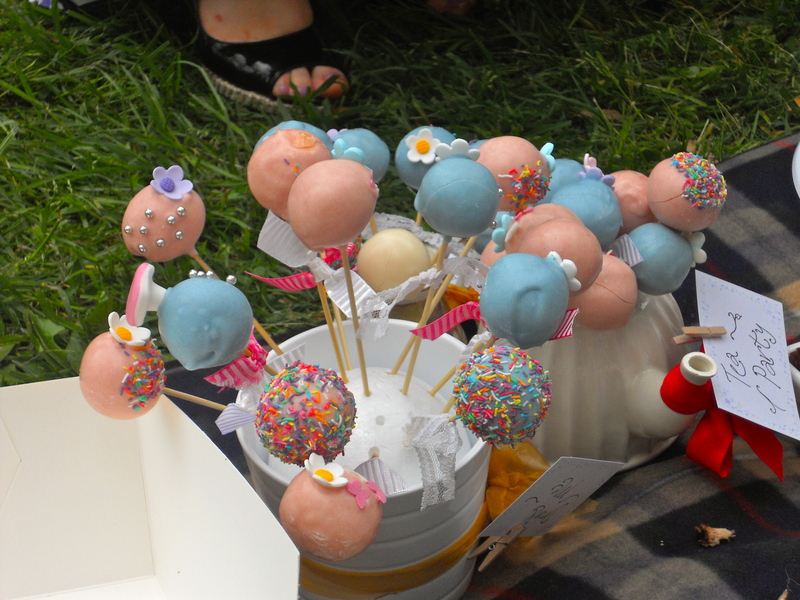 And the cake pops by Sugarlace were a jollier version of iced cake. 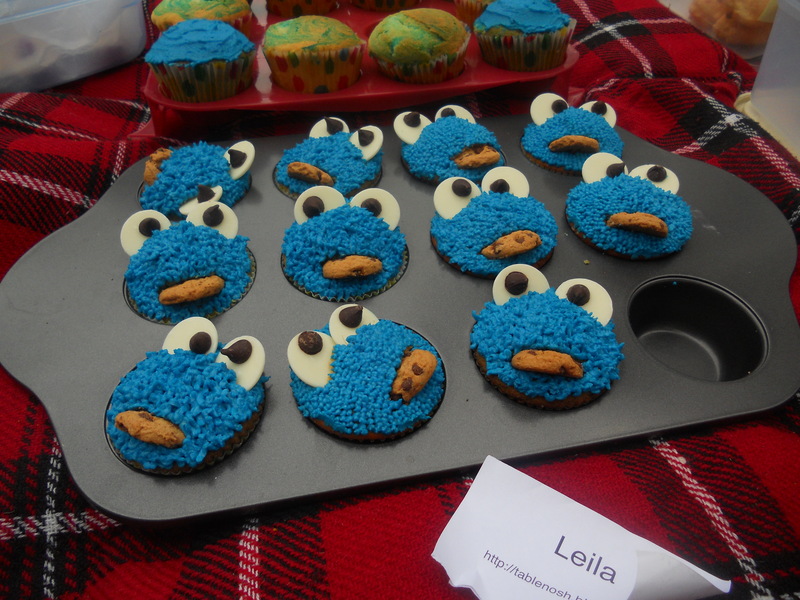 There were also three versions of cookie monster cupcakes – these ones, I believe, were by Sook from Nommy Nom Nom. 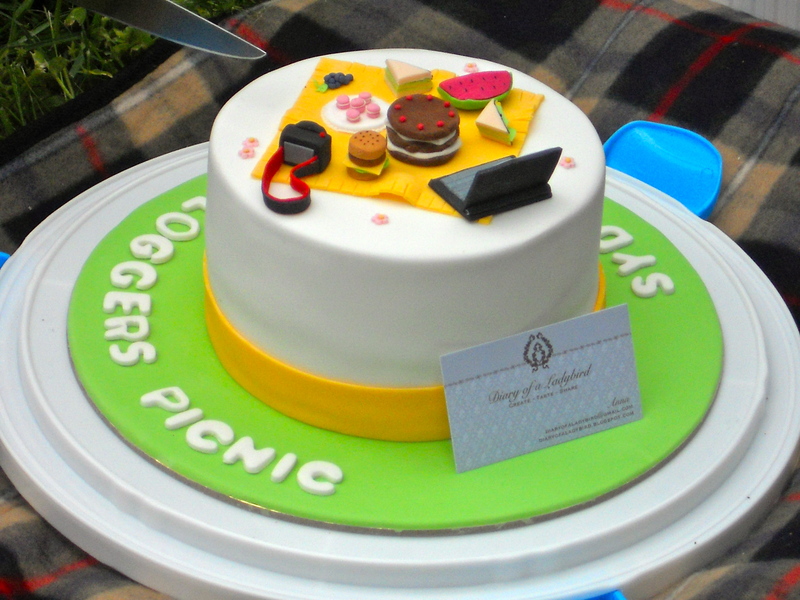 I was in absolute awe at some of the skill using fondant. 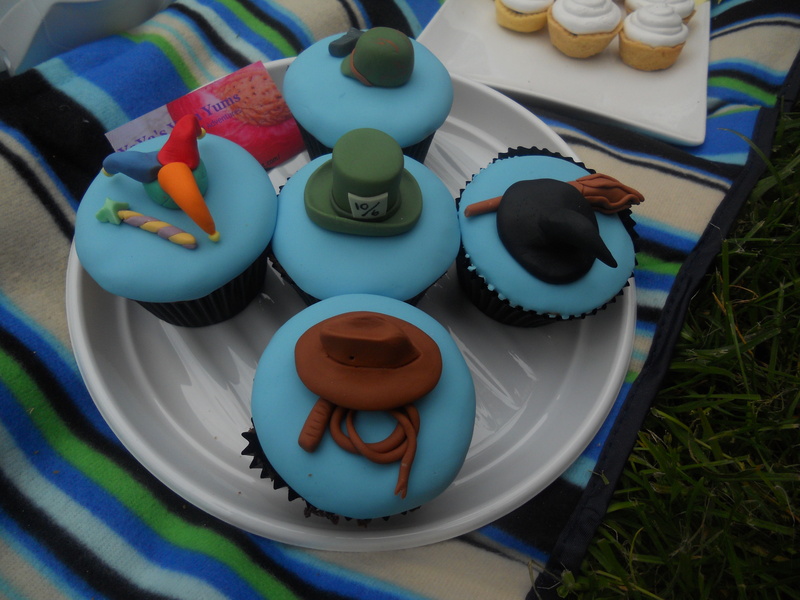 The mad hatter cupcakes (also by YaYa’s Yum Yums) really went all out with the picnic’s theme and were spectacular to look at. But the real star of the dessert show (and the winner for Best Dessert) was the blogger mud cake by Anna from Diary of a Ladybird. It didn’t only look magnificent – the salted caramel mud cake inside was moist, rich and heady with chocolate and salty sweet goodness. 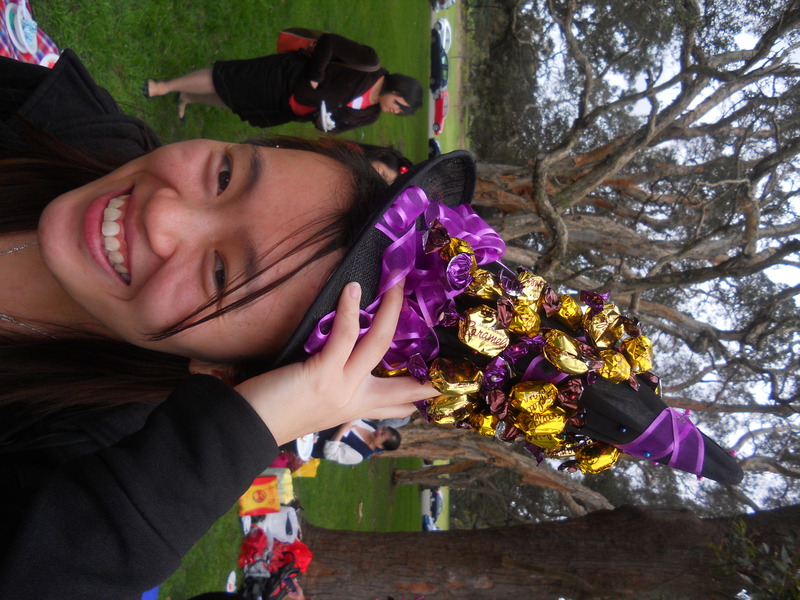 The costumes and hats were also a sight to behold. 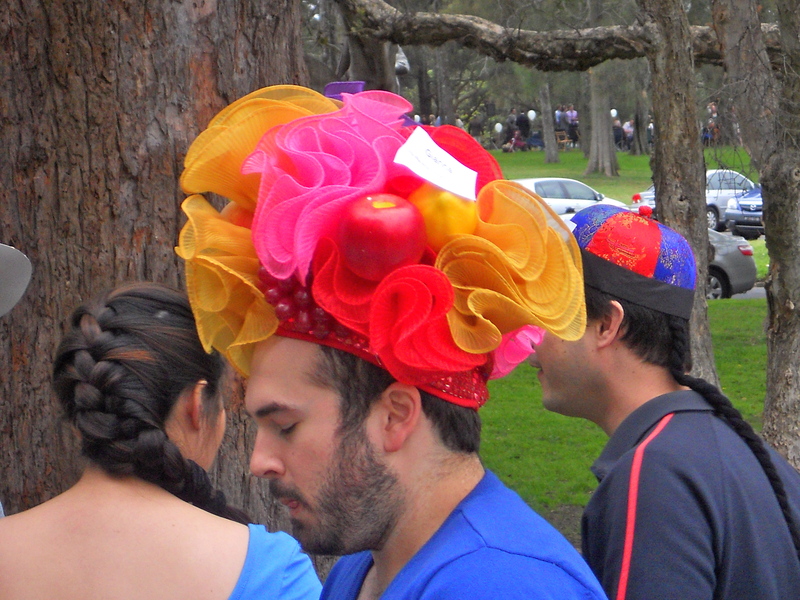 The Carmen Miranda fruit hat was a welcome burst of colour on an otherwise drizzly day and the chocolate eclair hat was just plain fantastic. But this was easily the best costume of the day. 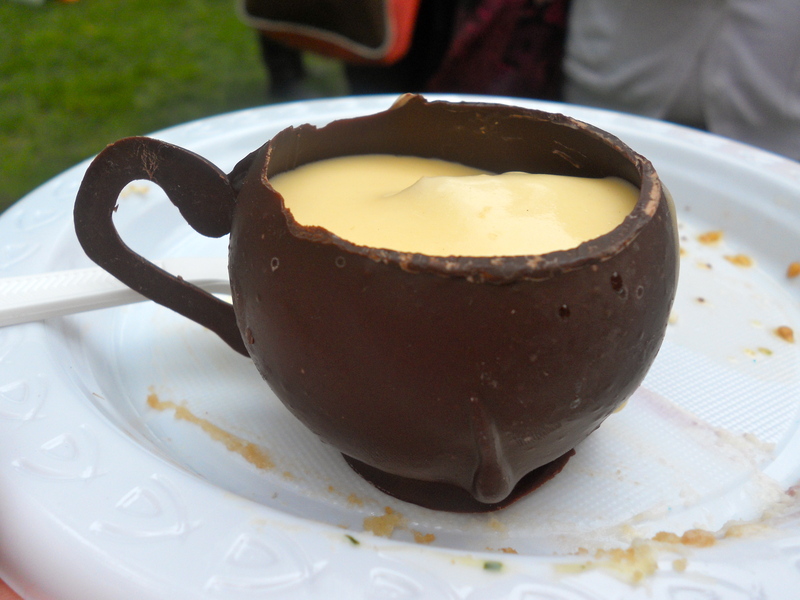 We ate, we dranked, we discussed Masterchef, Adriano Zumbo and Peter Gilmore’s snow egg. It was great to meet other food bloggers in the flesh and see what a close-knit community the blogging sphere really is. 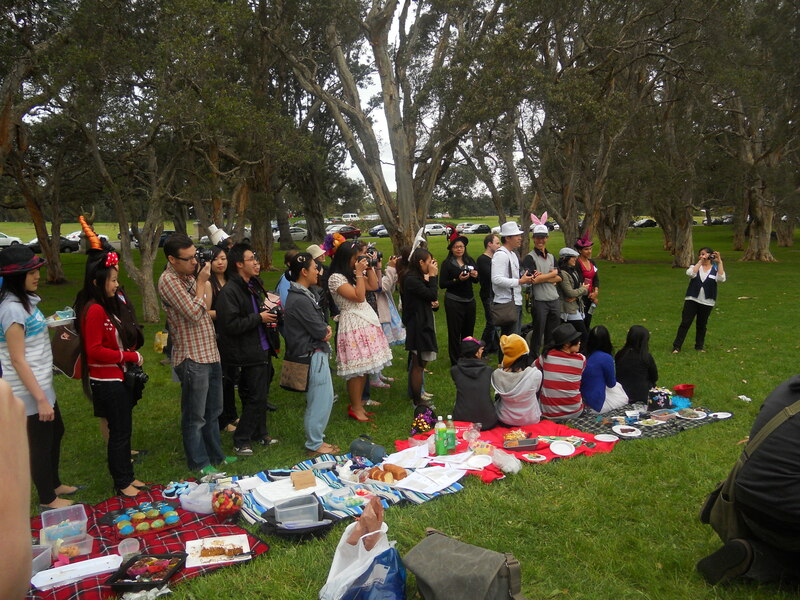 Someone threw around the idea of a Christmas picnic in the coming months. If this is anything to go by, I’ll be fasting for weeks in preparation. In order to maintain my incessant laziness, I’ve decided that every time I make soup, I’m merely going to insert the word ‘soup’ into the title of a Star Wars movie. Admittedly The Soup Strikes Back was a happy coincidence and I doubt Seriously Simple Jedis was – or ever will be – a contender for the sci-fi saga, but this post is an unabashed and intentional rip off. So now that I’ve got that off my chest, let’s move on to the next installment of Soup Wars. Today was a pretty miserable day, weather-wise. It was a pathetic excuse for an approaching-the-middle-of-Spring day, with rain and clouds and wind and all things sad. I was reluctant to venture out in the cold but needed something for lunch. All we had on hand was a tin of tomatoes, a tin of beans and the usual staples like garlic, onions and dried herbs. 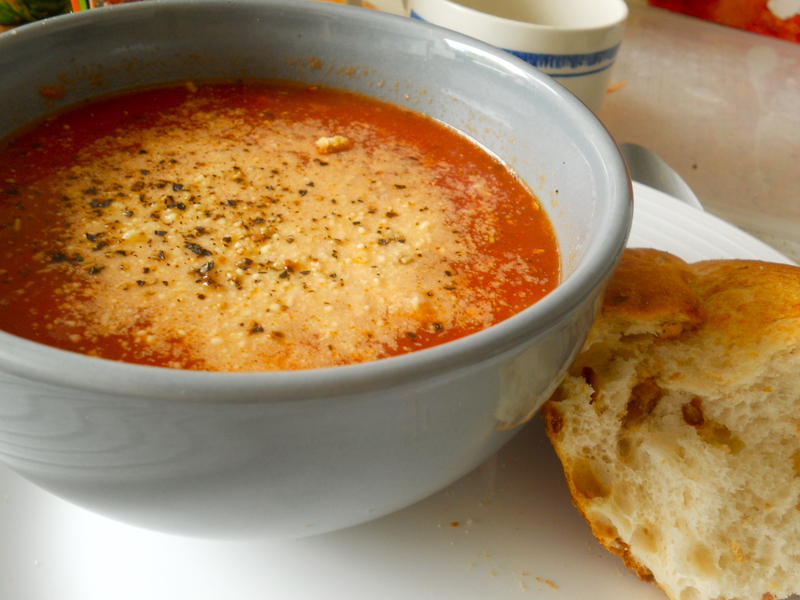 And because of the dismal weather, all I really wanted was a bowl of hot, steaming soup and some carbalicious bread. I pretty much bung everything in a pan and left it for ten minutes to cook – another example of my indolent ways – but the results were bowl-lickin’ good. The tomato became rich and sweet, heady and fragrant with garlic and herbs. The addition of chili gave the soup a warm and hearty kick. The beans added a mellow flavour and gave the soup substance and stodge – perfect for a rainy day in. 1. In a medium saucepan, heat the olive oil. 2. When hot, add the garlic and onion. Fry for five minutes, until fragrant. 3. Add the tomatoes, beans, herbs, chili flakes and water and stir to combine. 4. Simmer for ten minutes and season to taste. 5. Serve with grated Parmesan. As you can see, I have an uncanny knack for appropriating song lyrics. A high point (or low, depending on which way you look at it) was when my flatmate and I changed the lyrics to ‘California Gurls’ (sic) by Katy Perry and instead made the song about California rolls. We even proposed taking it to our local sushi joint so they could frame it on the wall. Look, it made sense at the time. So OK, I might not be destined for a lifelong career in lyric appropriation (if there is such a thing) but I can show you how to make a mean quiche. And ultimately that will take me further than wailing at the top of my lungs about how I know a place where the sushi’s really fresher. Quiches are so easy and, in their most basic form, only take a matter of minutes to whip up. The extra bonus is that they stretch for days, making excellent cold lunches. I was lucky that I had the time to make my own pastry but by all means take the cheat’s way out and just use store-bought shortcrust. The filling can be chopped and changed according to what you like and what you can afford. Ham, chicken, cheese, herbs, tomatoes and various other vegetables make wonderful additions. And don’t do what I stupidly did and spend $2.50 on a single sweet potato – use pumpkin as a cheaper substitute. I can assure you that this quiche is so good, the club can’t even handle it right now. I really don’t know what that means. 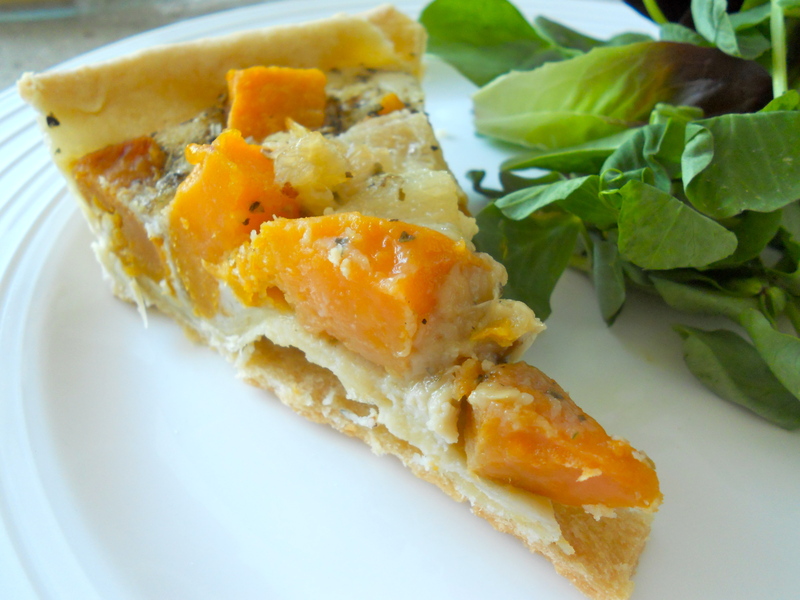 Sweet Potato and Caramelised Onion Quiche. 1. In a large mixing bowl, rub together the butter, salt and flour with your fingers until the mixture resembles fine breadcrumbs. 2. Add the water and combine to form a dough. You made need to add more water or flour, depending on the consistency of the dough. It should resemble play dough. 3. Wrap the dough in cling wrap and refrigerate for 30 minutes. 4. In a medium saucepan, place the sweet potato and enough water to cover it. Add a pinch of salt. Bring it to the boil. 5. Remove the sweet potato from the heat when it is just cooked through and drain. Leave to cool. 6. In a medium fry pan, heat 1 TBSP of the olive oil. 7. Add the onions and fry until soft. 8. Add the sugar and keep frying until the onion caramelises. Remove from heat and leave to cool. 9. Preheat the oven to 200C and grease a 22cm pie dish or tart tin. 10. Remove the pastry from the fridge and roll out until it’s big enough to cover the dish/tin. 11. Line the dish/tin with the pastry and place in the fridge for a further 15 minutes. 12. Whisk the eggs with the milk and herbs. 13. Add the cooled onion and season to taste. 14. Remove the pastry shell from the fridge and place in the oven for 15 minutes. 15. Remove from the oven and cover the pastry with the sweet potato. Then pour over the egg mixture. 16. Reduce the oven temperature to 180C and bake the quiche for 30-40 minutes or until the top is slightly browned.